The nineteenth century concept of sweet as a “basic” taste implied that sweetness was psychologically unitary. 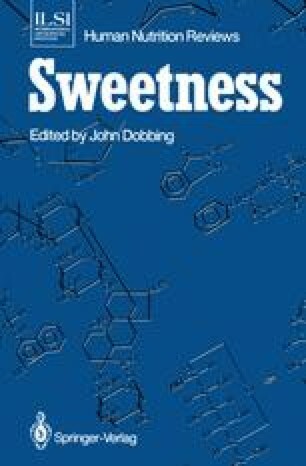 But if sweetness is unitary, then why don’t all sweeteners taste alike? One possible answer is that various sweetener molecules can be discriminated from one another by non-sweet attributes (e.g., bitterness, slow onset, persistence of sweetness, etc.). Another possible answer is that sweetness itself varies across sweeteners.